R. Parra Steel Fab, Inc. Comment: We would like to fence our patio so our two pets won't be able to go to the backyard. Comment: We would like to build a steel fence around our backyard patio. Comment: Fence around the pool and devide the backyard for dogs. Comment: need 40ft of pool fence installed with 2 gates. Comment: need pool fence installed around patio. total of 40 ft with 2 gates. Comment: Fence needs to be repaired due to rust deterioration. Comment: I want to add 75 feet of fencing to my backyard. 4 feet high and have a 10 feet gate on one side and a 4 foot gate on the other. The 75 feet includes the gates. 401 W. Deer Valley Rd. 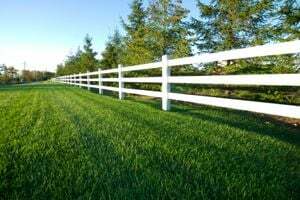 Avondale Fence Contractors are rated 4.65 out of 5 based on 565 reviews of 15 pros. Not Looking for Fences Contractors in Avondale, AZ?